I LOOOOOOOVVVVVEEEE spending quality time with my kiddos whether we are making slime (which has became their #1 favorite), reading my kindergartener’s library books, playing at the playground, designing their own puzzles, watching a movie, or even eating dinner together at night which has became a treat with our busy schedule. What’s even better than quality mom and kid time is comfy quality mom and kid time. WE DID NOT WANT TO KEEP THESE AWESOME STYLISH DEALS TO OURSELVES!!!!! NO ONE SHOULD EVER MISS OUT ON COMFY STYLISH KID TIME. The girls and I had a mom and daughter day last week and decided to wear these awesome shirts that we purchased at the Children’s Place; they loved wearing matching shirts with me. I’m sure this will change in a few years. MY 3 YEAR OLD LOVES THE SPARKLES ON THIS SHIRT AND THE FACT THAT THE SHIRT IS SUPER COMFY. CLICK HERE TO ORDER YOUR LITTL E PRINCESS ONE OF THESE FUN TEES. THE CHILDREN’S PLACE ALSO CARRIES A VARIETY OF SUPER COOL AND FUNNY FATHER/SON SHIRTS CLICK HERE TO CHECK THEM OUT. LOVE THESE STYLISH HIP TEES. 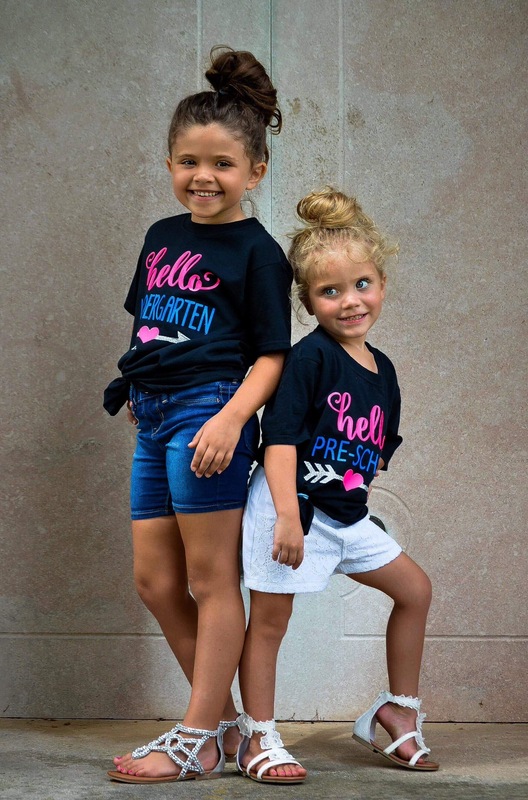 MY GIRLS WEAR THESE ALL THE TIME WE ACTUALLLY FOUND TWO TEES THAT RESEMBLED MY GIRLS FOR AMAZING !!! PRICES!!! LOVE THESE AWESOME SO AFFORDABLE SISTER SHIRTS NOT TO MENTION STYLISH AND COMFY. WITH THESE PRICES YOU CAN NOT AFFORD TO PASS THEM UP. Previous postSisters, Lemonade, and Aprons Oh My! !